The purpose of this article is to instruct administrative staff how to access and store a local copy (should they choose to) of departmental files and folders to their Mac computer. 1. 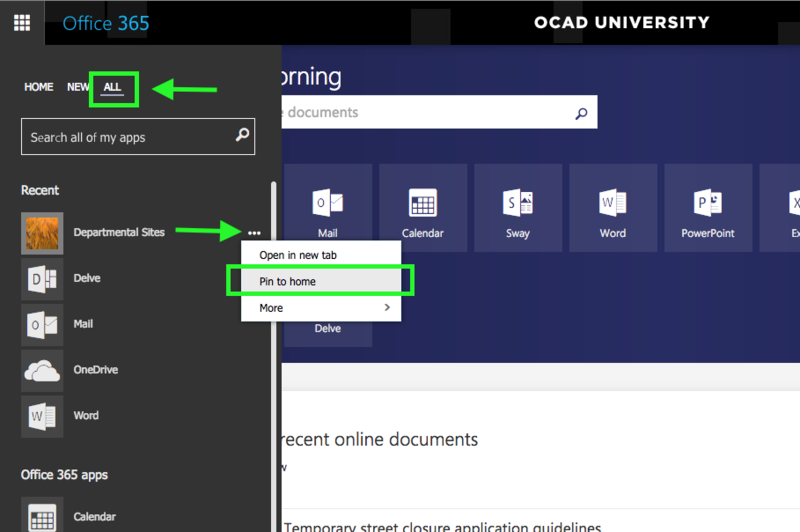 Log in to the OCAD U 365 portal at 365.ocadu.ca and select the tile icon in the top right of the browser window. 2. 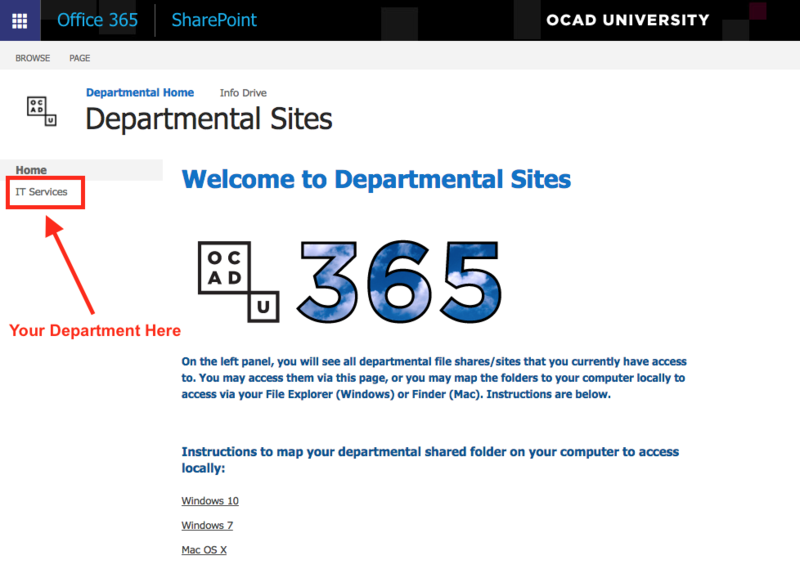 Select "All" and scroll down to find "Departmental Sites". Click the "..." icon and select "Pin to Home". Then select the "Departmental Sites" icon. 3. 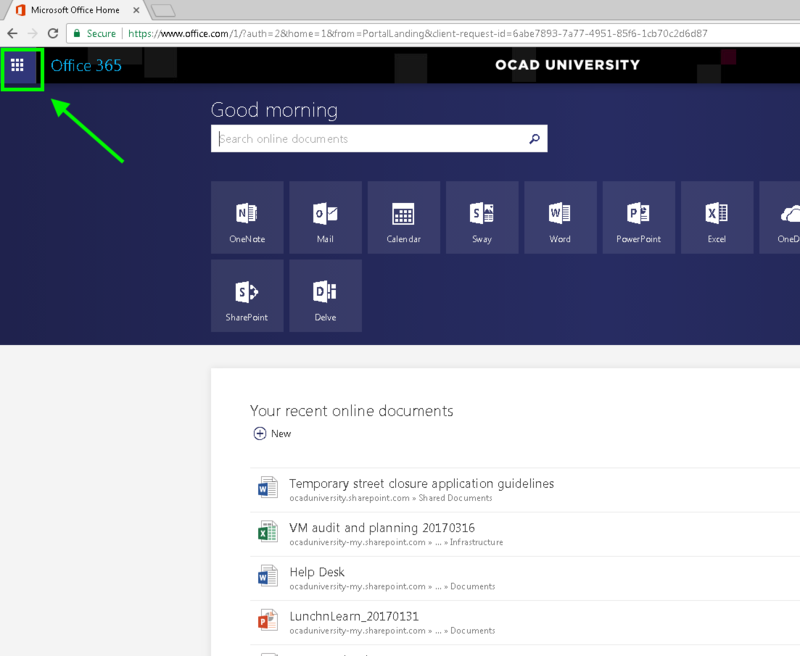 On the Departmental Sites page you will see a menu on the left that will list all department or committee departmental sites (where the documents are located) you have access to. Select the one you wish to map to your computer. 4. You will now see the folders and files that are stored in the departmental site. 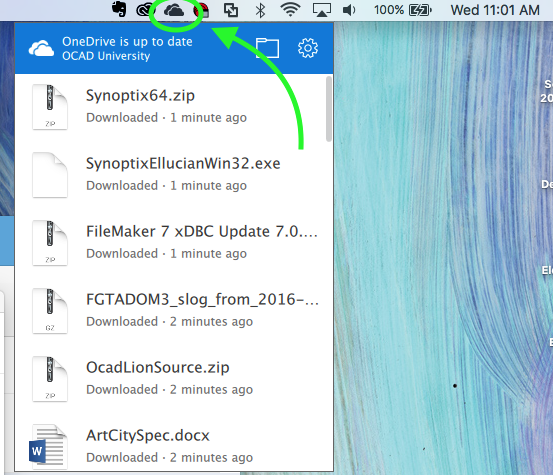 If you choose to sync files, select "Sync" from the menu bar. 5. Two pop up windows will appear. 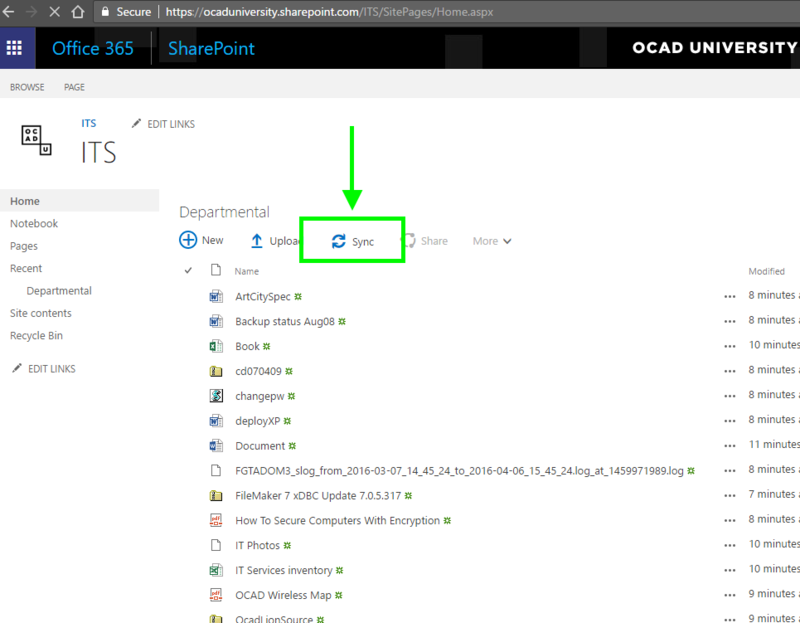 In the top window, check the box marked "Remember..." and select "Open OneDrive". 6. When the next window pops up, select all folders from the departmental share that you wish you store locally on your computer. 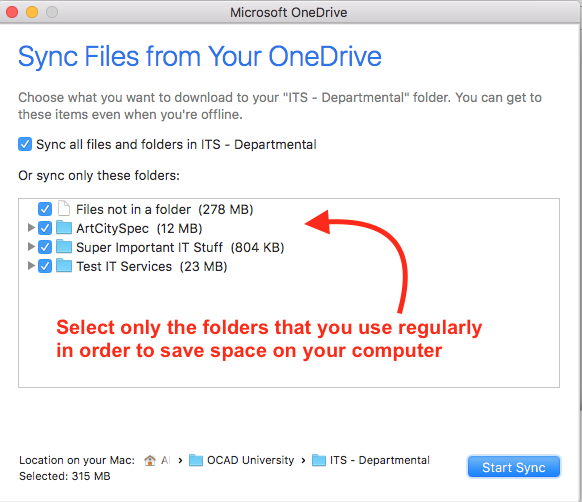 If your department has a fairly large amount of files, it is advisable that you only select those that you use on a regular basis in order to save space on your computer. Select "Start Sync". 7. The sync has started and you can see the status by clicking the cloud icon on the top menu bar (right side). Depending on how many files you are syncing, it could take some time. Allow the sync to fully complete. 8. To find your files, open "Finder" and select the home icon labelled with the name your computer is registered under. 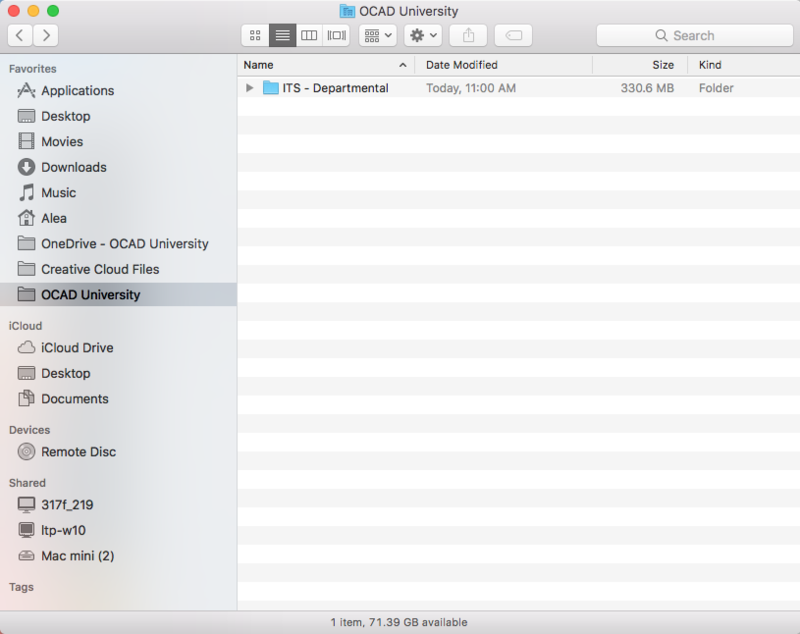 Find the "OCAD University" folder within. If you wish to, click and drag the folder to "Favorites" for each future access. You may now work on your files from here and they will continuously sync to the cloud. 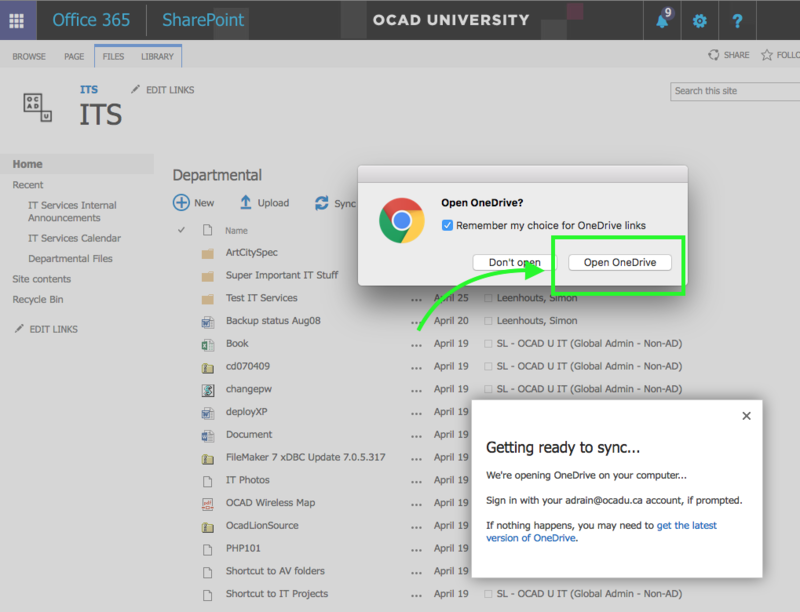 The files may be accessed locally on your computer or via a browser at 365.ocadu.ca. 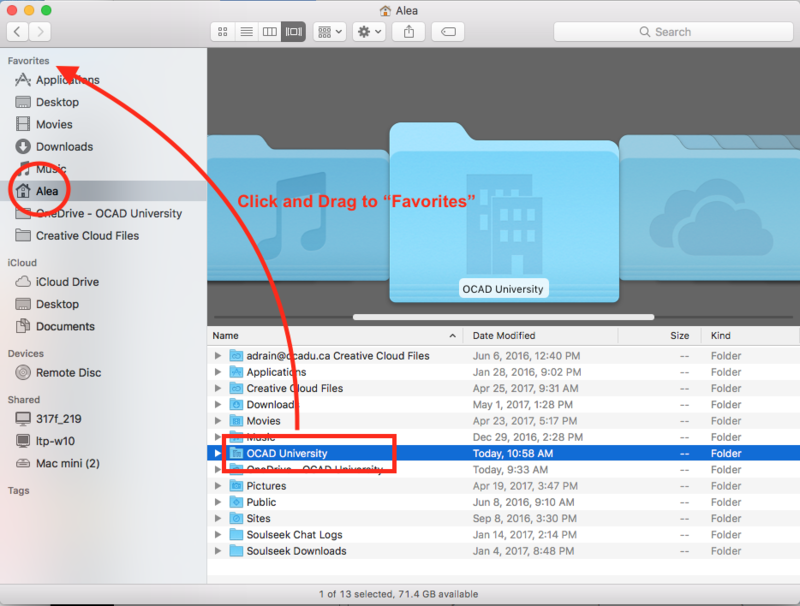 No VPN is required to access these files if you are not plugged into the OCAD U network.